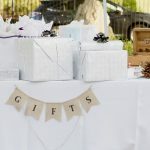 Ask Cheryl: Can I Give a Group Bridal Shower Gift? I’ve received an invitation to the bridal shower of my brother-in-law’s bride-to-be. This is his third marriage and her second. My three daughters are also invited, two of whom are in college. My youngest is a junior in high school. None of my daughters are working regularly. I planned to give a cashmere blanket from her registry. It’s $105 and I intend to give it from the four of us. Is that adequate or am I expected to provide a gift from myself and each of my three daughters? Thank you for writing. You don’t need to worry; it’s absolutely fine, and usually expected to give a group gift from the family (or all four of you). Your daughters are not financially independent and therefore would not be expected to buy their own gift. 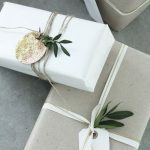 Nuclear families generally give one gift for weddings and showers. You can feel confident in your plans to give the cashmere blanket as a gift from you and your daughters. I’m sure your daughters were included in the shower because they are female family members and the bride will soon be their aunt. I hope you enjoy the shower and the wedding! 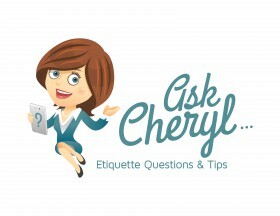 Ask Cheryl: How Much Should I Spend on a Second Bridal Shower Gift? 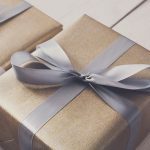 Ask Cheryl: Is it Okay to Give a Wedding Gift on Behalf of Someone Else?